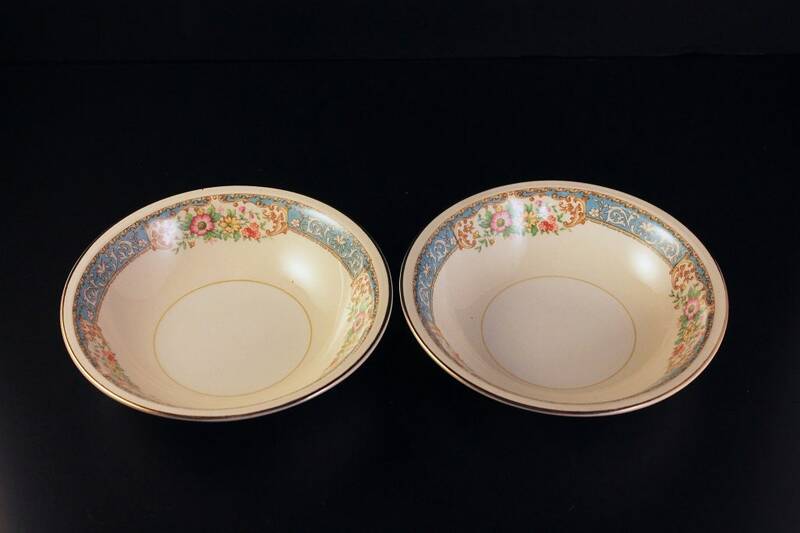 A beautiful set of 2 fruit bowls by Homer Laughlin. 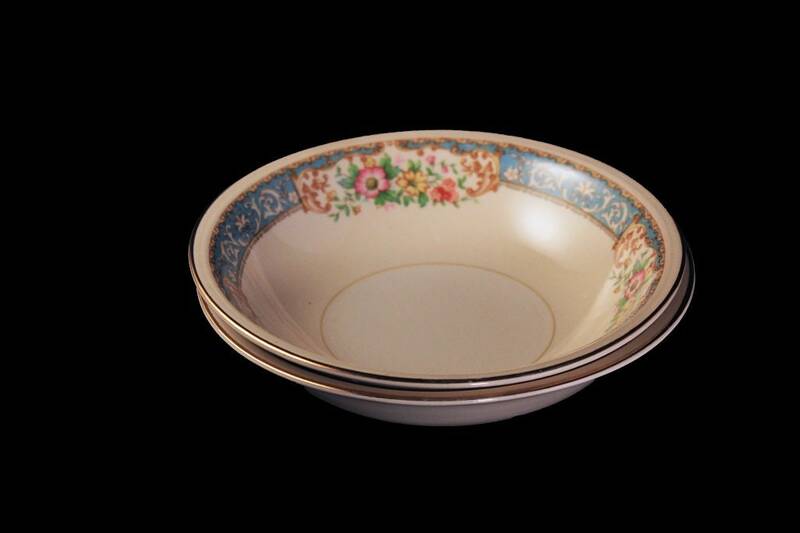 The pattern is Blue Dawn featuring a blue border and floral pattern. 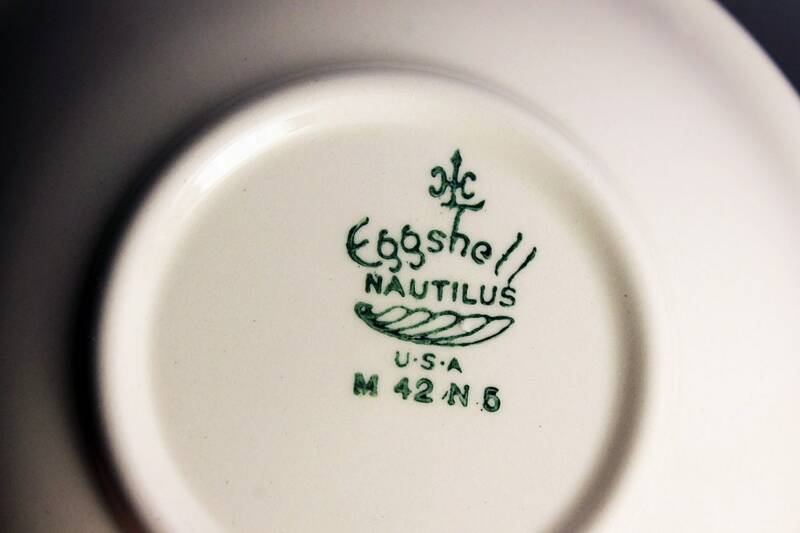 The shape of this set is called Eggshell Nautilus. 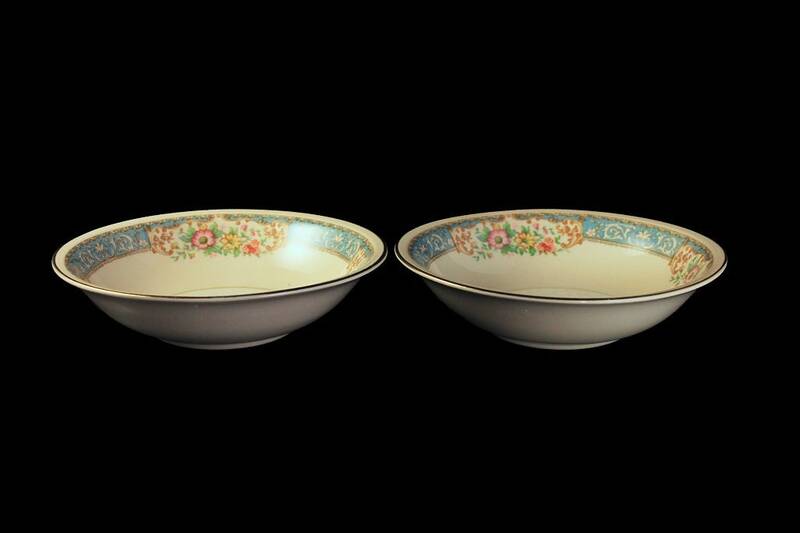 These lovely bowls would make a grand statement on a table, buffet, or sideboard. These are dated (using Homer Laughlin Date Codes) at 1942. 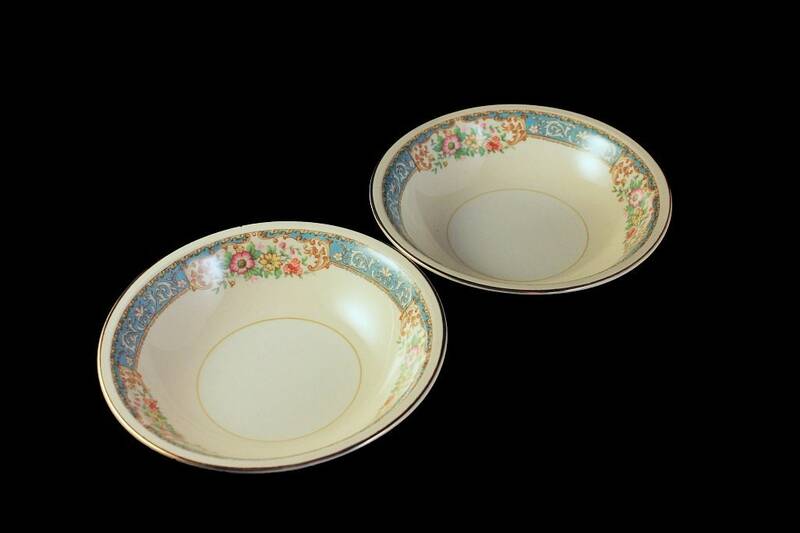 These bowls are in excellent condition. There are no chips, cracks, or crazing. 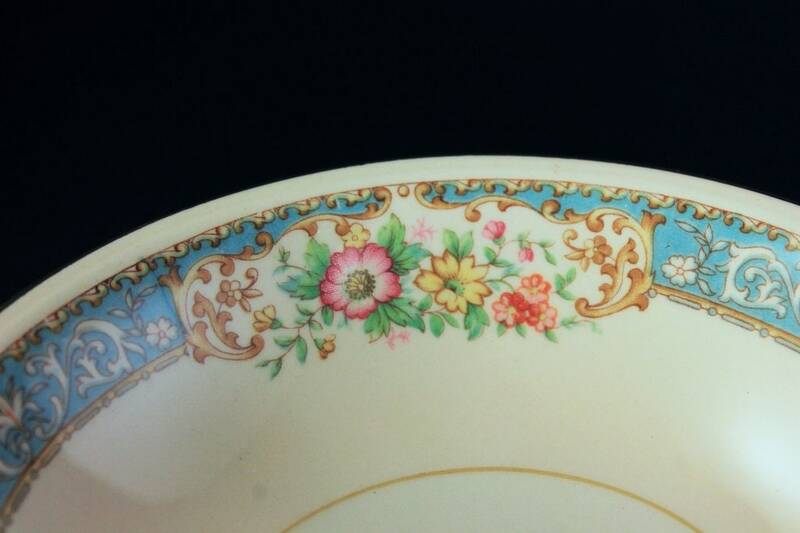 There is very little rubbing to the gold trim and a few minor utensil marks. 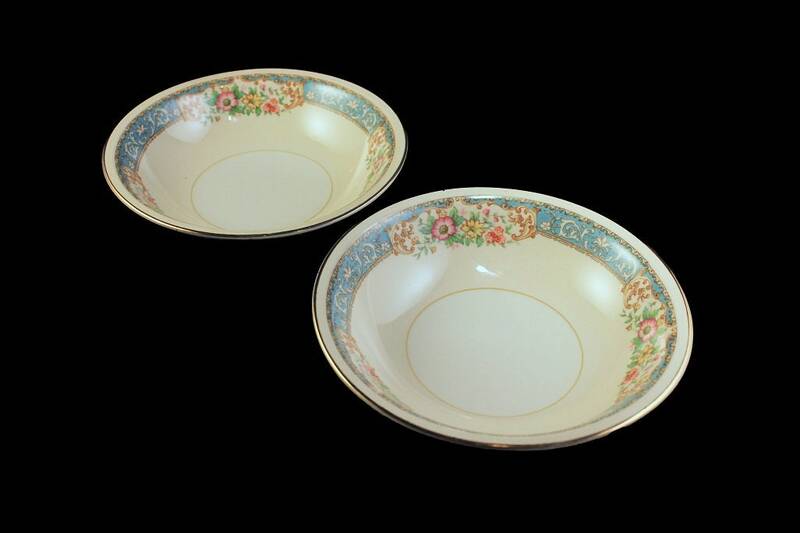 We received this set and other pieces of this pattern in it's original Homer Laughlin packing crate.